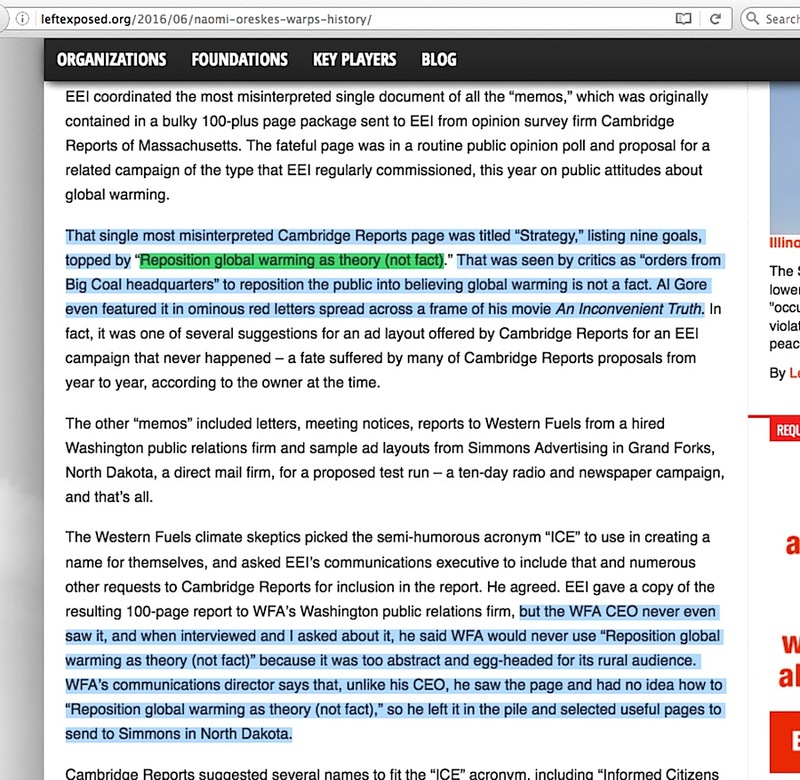 “An Ingenious Feat of Investigative Reporting” … that was not. 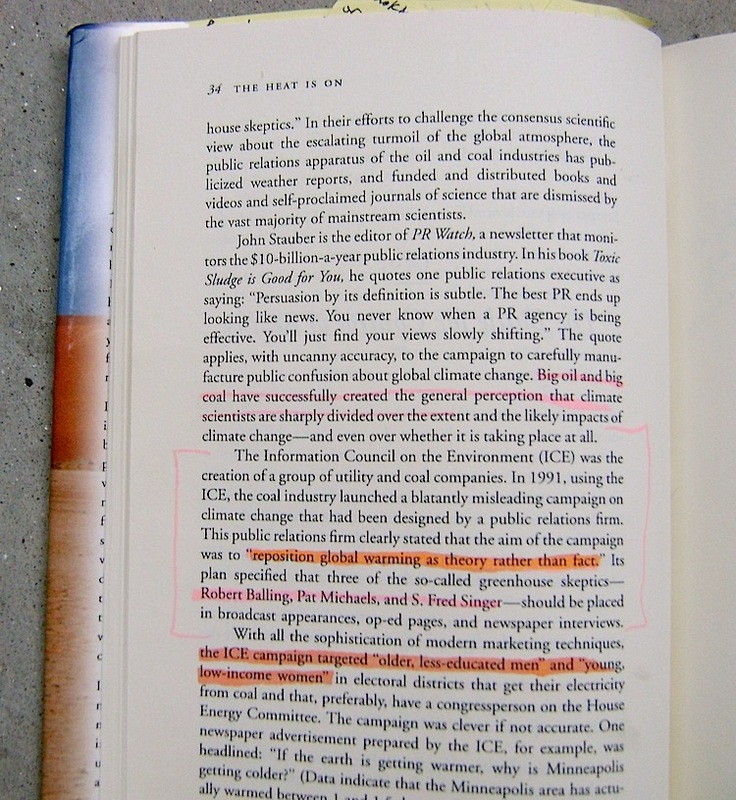 Like so many other facets of the ‘corrupted skeptic climate scientists’ accusation which enviro-activists hope nobody explores in any depth, Pawa’s citation of Gelbspan’s article doesn’t lead to a tidy explanation of the ‘corruption,’ it prompts the question of whether Pawa has once again been caught citing ‘evidence’ that isn’t what it professes to be. 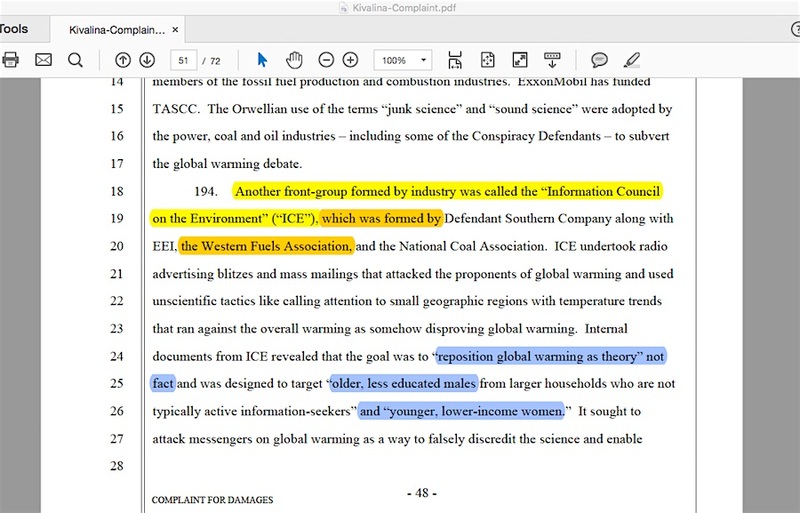 The short explanation about Pawa’s Section D within his Kivalina lawsuit is that the fossil fuel company defendants supposedly created front groups to spread misinformation to the public that undercut the certainty of the idea of catastrophic man-caused global warming. 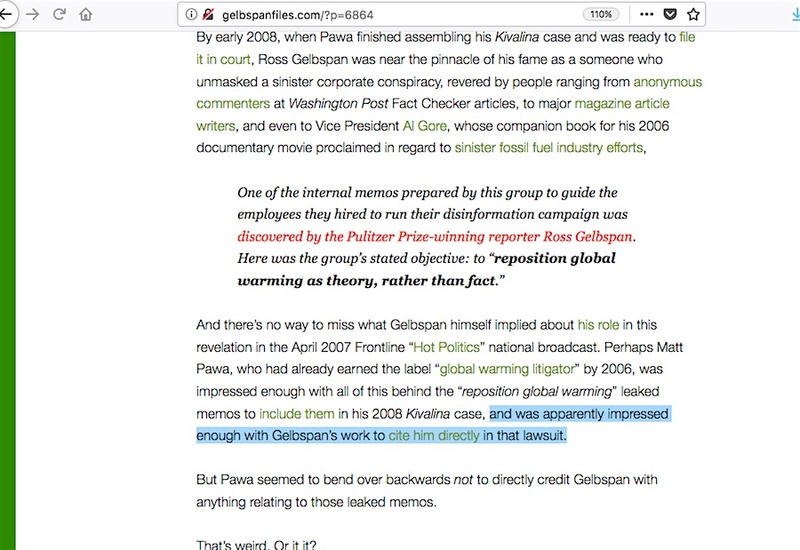 The infamous leaked industry memo set that gave Gelbspan a second career, saddled with Pawa-inflicted citation source problems, was included in that section. 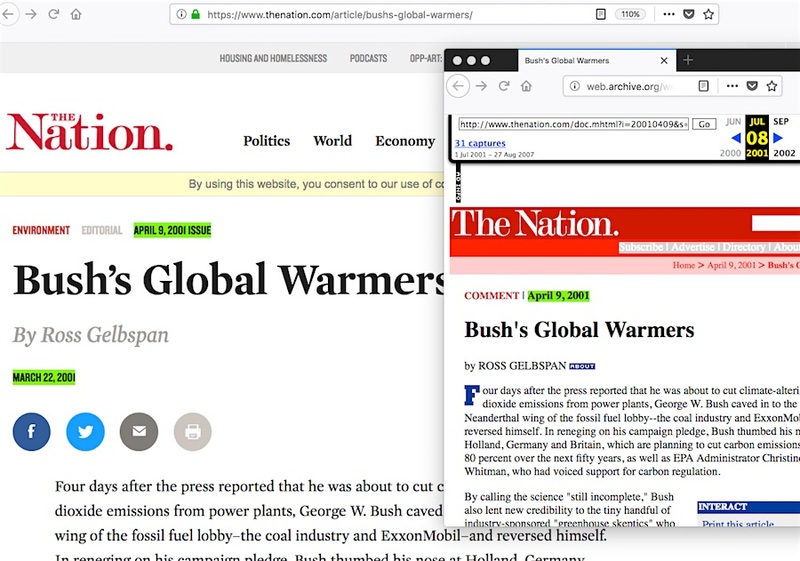 Toward the end of this “Use of Front Groups” section, it appears that Pawa was using a citation (ignore his incorrect title word “Heaters”) of Gelbspan’s 2001 “Bush’s Global Warmers” article at The Nation to drive this corruption message home. 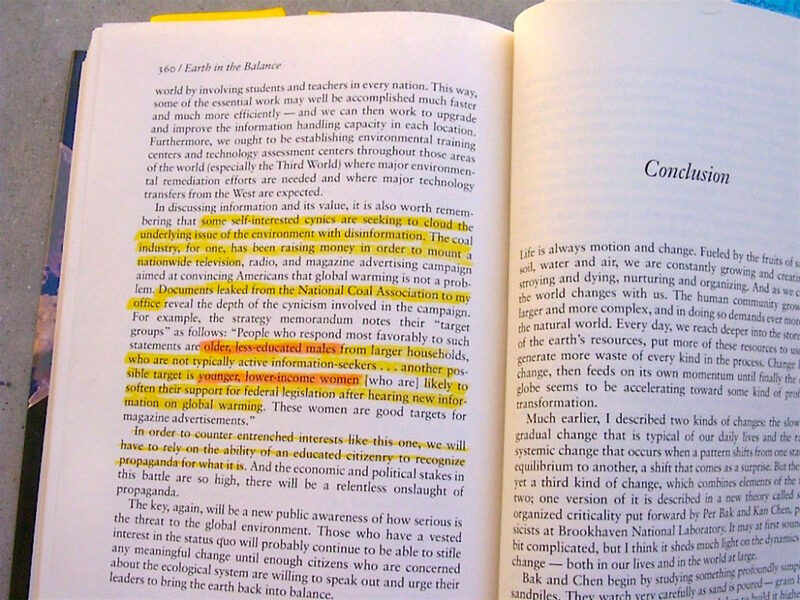 We had some fun with the most visible of these ‘greenhouse sceptics’, Fred Singer. A couple of years ago, Singer declared in The Washington Post that he had not received any money from the oil industry for 20 years. 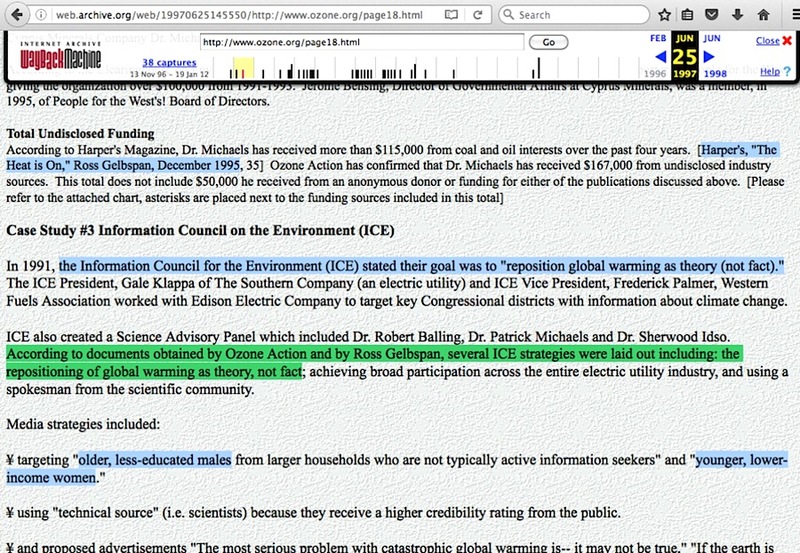 Shortly thereafter, we published the fact that he had received thousands of dollars from ExxonMobil in 1998. 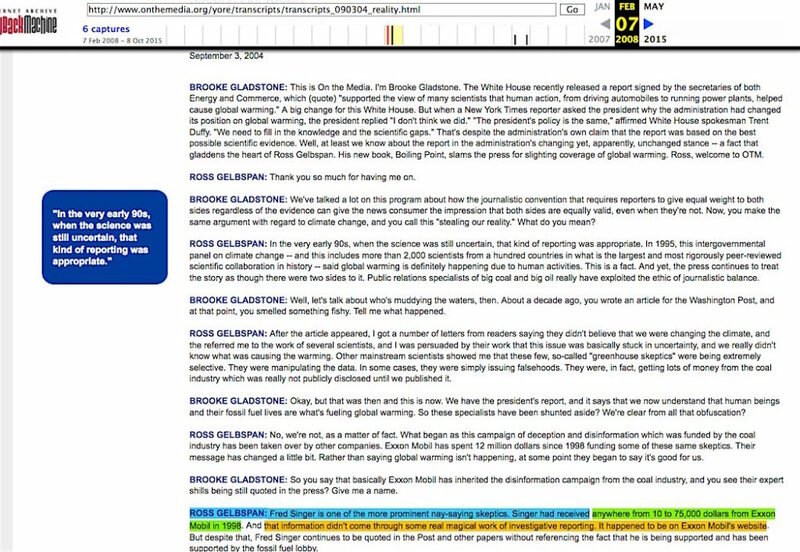 Lest you think this was an ingenious feat of investigative reporting, the information was on the ExxonMobil website. 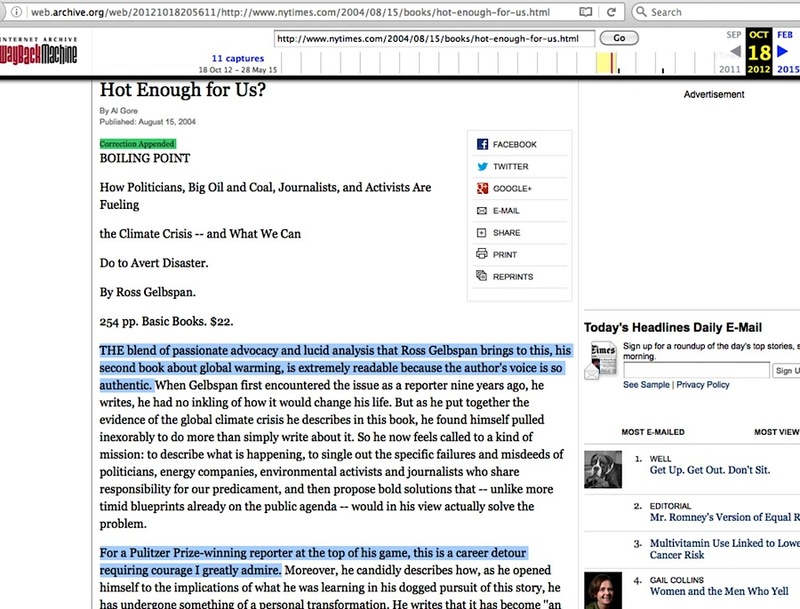 Of course they took down that page shortly after the article was published. 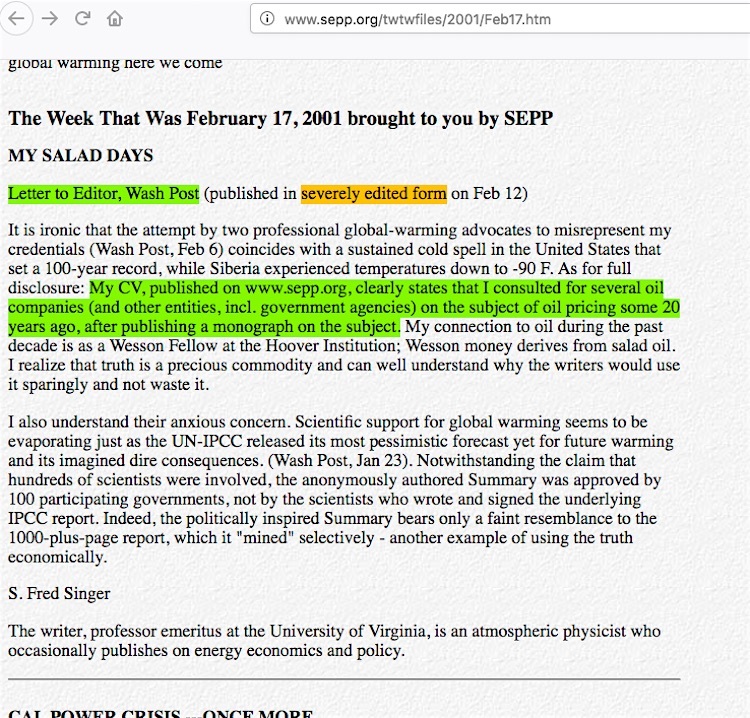 Fred Singer is one of the more prominent nay-saying skeptics. 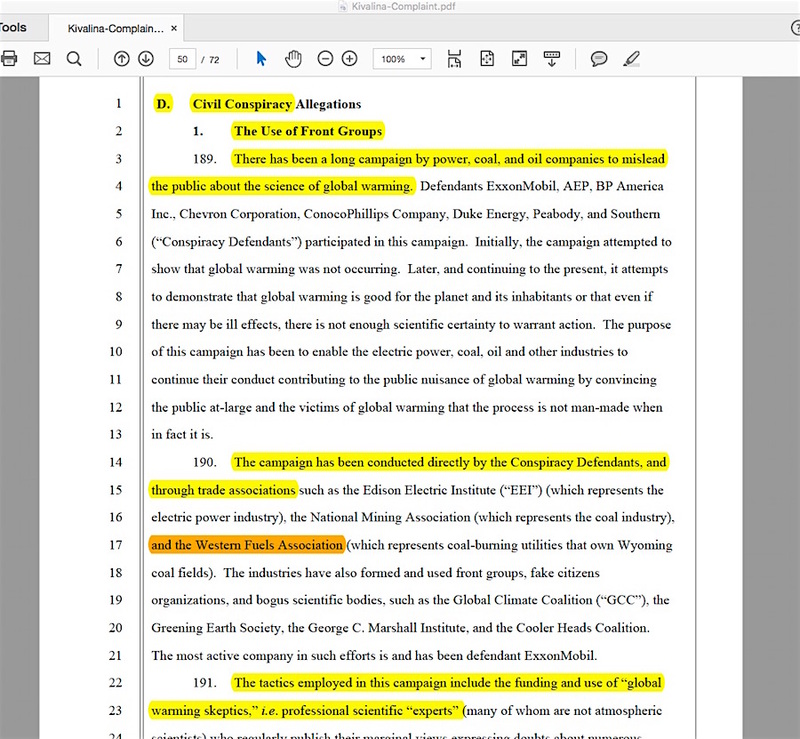 Singer had received anywhere from 10 to 75,000 dollars from Exxon Mobil in 1998. And that information didn’t come through some real magical work of investigative reporting. It happened to be on Exxon Mobil’s website. 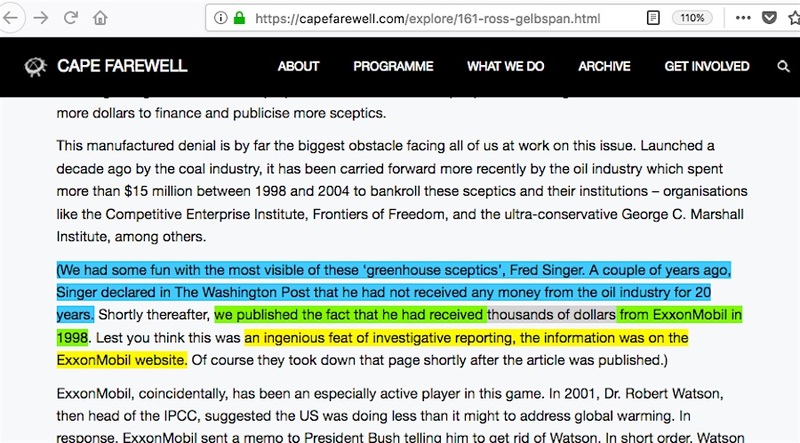 Go to the effort of pulling the time slider for the video at this webpage to the 3:52 point, and you’ll see Gelbspan repeat the same basic assertion about Dr Singer – the bit about his The Nation article, and the “about $75,000” figure. 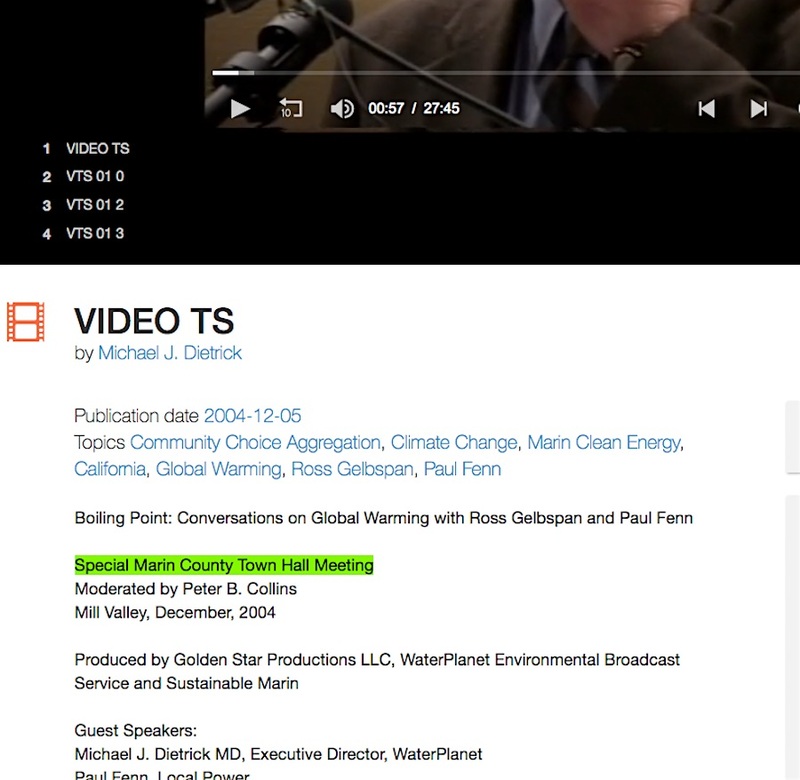 Pull the slider all the way back to the 57 second point, and you’ll hear how Gelbspan claims the Western Fuels Association (WFA) stated in its annual report that it was going to attack mainstream science (it said no such thing); that WFA “enlisted” Dr Singer for a PR campaign (it did not) and sent him and others “around the country to do a lot of media interviews” (a massive embellishment); with the specific strategy to “reposition global warming as theory rather than fact” targeting “older less-educated men and young low-income women” (none of which was ever a strategy used by WFA’s inconsequential pilot project PR campaign). But what does Ross Gelbspan’s The Nation article actually say, in either its current or archive version, regarding Dr Singer’s corruption? 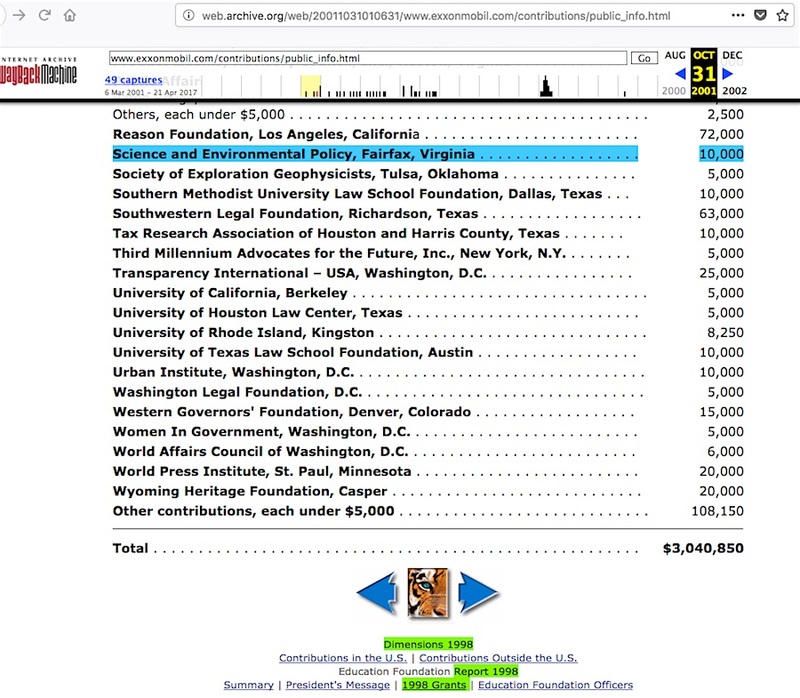 … in 1998 ExxonMobil gave $10,000 to Singer’s institute, the Science and Environmental Policy Project, and $65,000 to the Atlas Economic Research Foundation, which shared building space with SEPP. Wait. 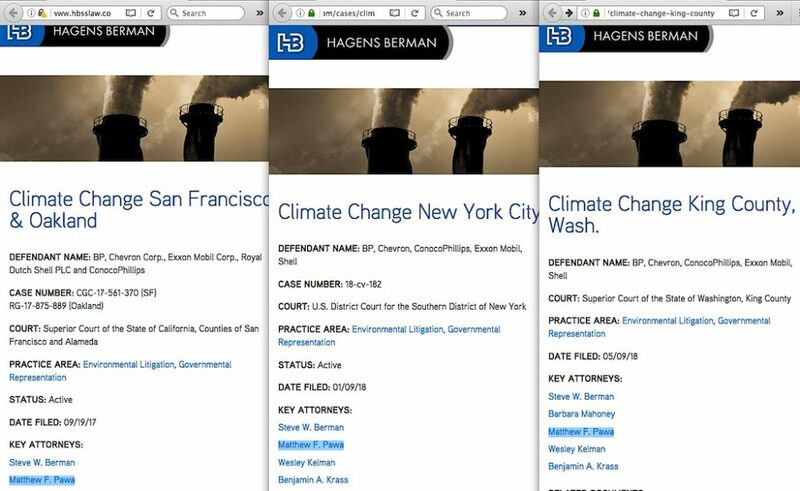 As plain as day at the Earthlands and Marin County videos, Gelbspan specifically named the $75,000 figure as being readily seen at Exxon’s own website, and insinuated in the NPR interview that a figure as much as that could be easily deduced as going to Dr Singer. 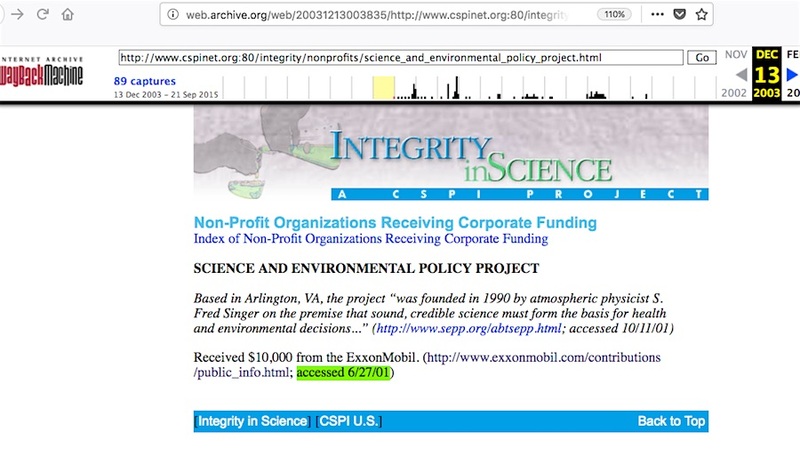 But what does Exxon’s old page actually show regarding Dr Singer’s “Science and Environmental Policy Project” organization? So if no investigative skills are needed whatsoever to spot where the additional $65,000 is with either Dr Singer’s or SEPP’s name attached, how does it follow that the $65,000 amount for the Atlas Foundation is obviously specifically earmarked directly for Dr Singer? 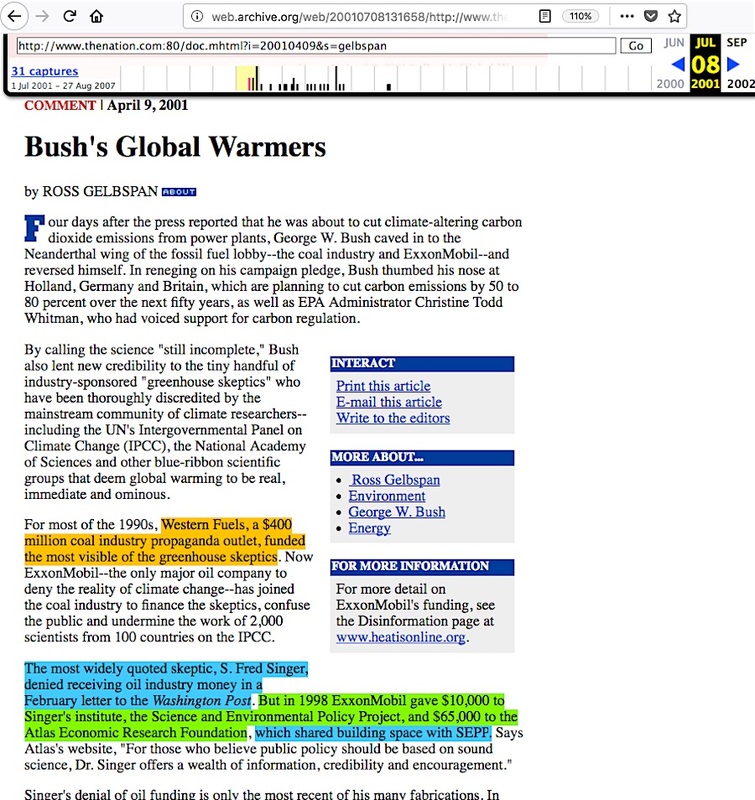 One other thing: when Gelbspan said Exxon took down their page “right after” / “shortly after” / “soon after” the article’s April 9, 2001 publication, apparently that wasn’t soon enough to prevent the Center for Science in the Public Interest organization from accessing Exxon’s page two months and 18 days after his article was published …. or soon enough to prevent the Internet Archive from accessing and archiving it as late as December 2001. 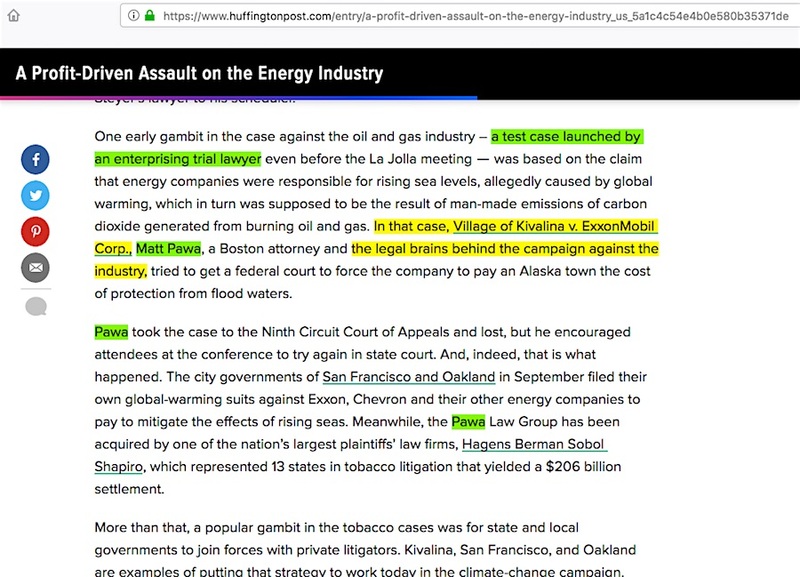 Ross Gelbspan’s “10 to 75,000 dollars from ExxonMobil” insinuation about industry corruption appears to be neither ingenious/magical or ‘bonehead obvious’ that Dr Singer lied about being paid ‘Big Oil’ money to spread disinformation, nor does it provide investigative reporting of any type that might dissuade people from wondering if Exxon ‘took down its page’ because, well … UC Berkeley didn’t want the public to see them receiving Exxon money. 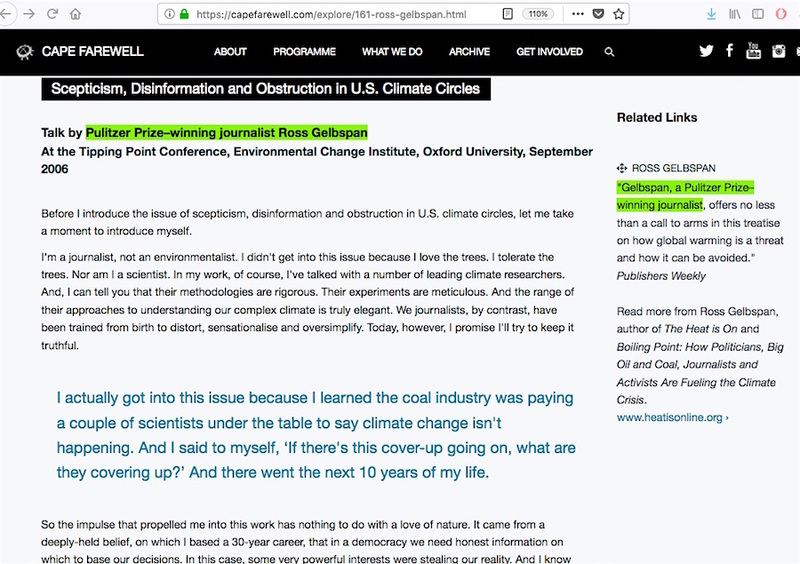 Dig deep enough into Gelbspan’s remark, though, about how Dr Singer “did some consulting for the industry,” and you’ll see why Gelbspan probably doesn’t want anyone to go farther than what Dr Singer said in a letter to a newspaper. Who is it here who really has something to hide? 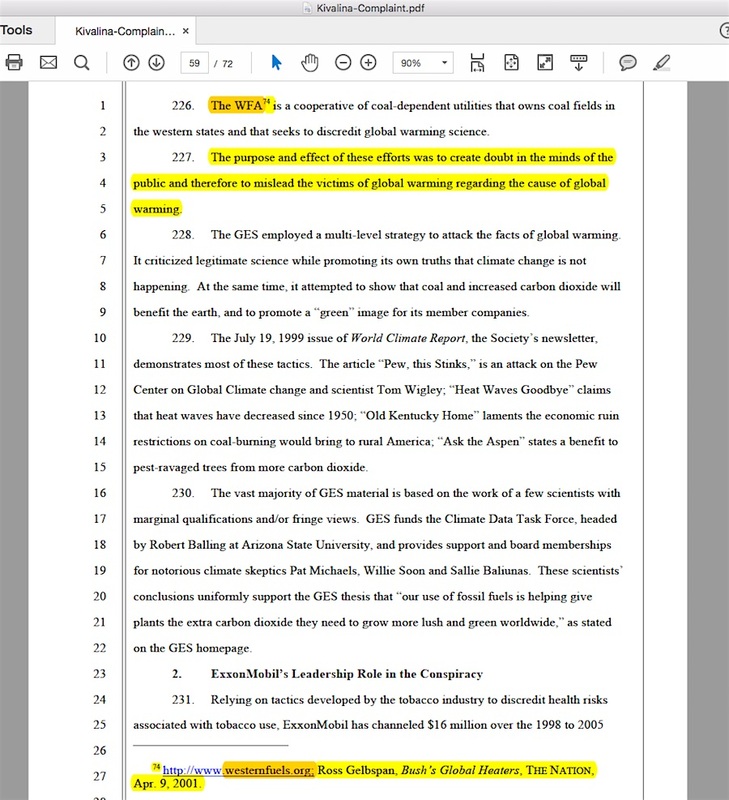 I’ve said it before, and it can’t be emphasized enough: no matter where any objective unbiased person lands in the accusation about ‘Big Oil & Coal paying shill experts to hide the certainty of man-caused global warming from the public,’ they won’t find a tidy, rock-solid collection of smoking gun evidence, they’ll find inconsistencies and other inexplicable problems under every stone they turn over. 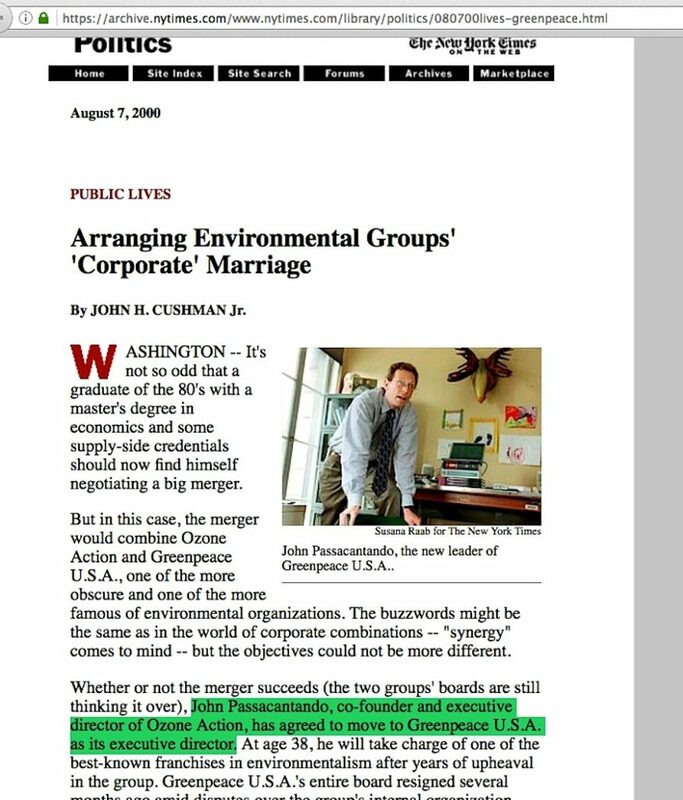 And when anybody goes deep enough on any one of these angles, it always leads back to the pinch-point in time where Gelbspan/“Greenpeace USA née Ozone Action” got involved in efforts to give successful media traction to an otherwise faltering accusation that has part of its roots in Al Gore’s 1991-’92 Senate office. 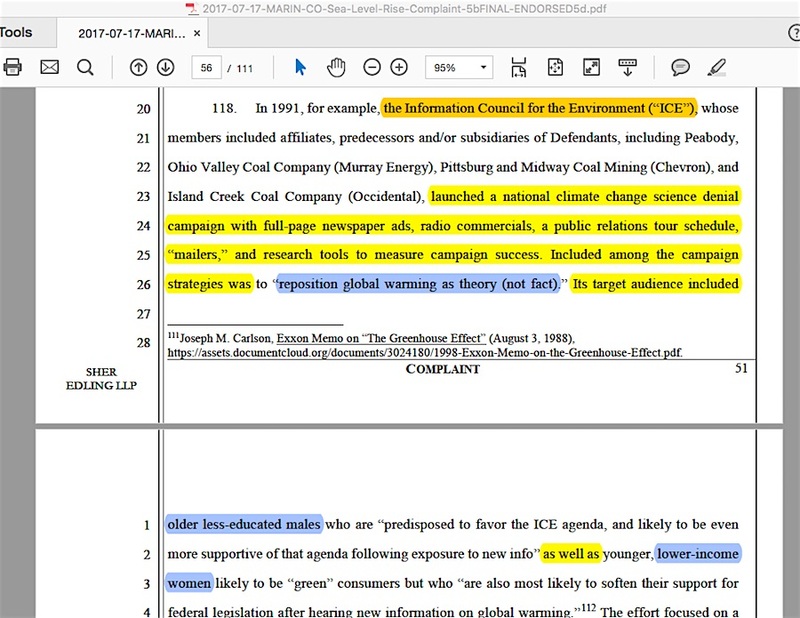 This entry was posted in Global warming lawsuits, Narrative derailment and tagged Matt Pawa, S. Fred Singer, Western Fuels Association by Russell Cook. Bookmark the permalink.